Love from the Kitchen: Pumpkin Party - An eBook for You! There is more to pumpkin than just pumpkin pie. I've compiled an eBook for your filled with my favorite pumpkin recipes. 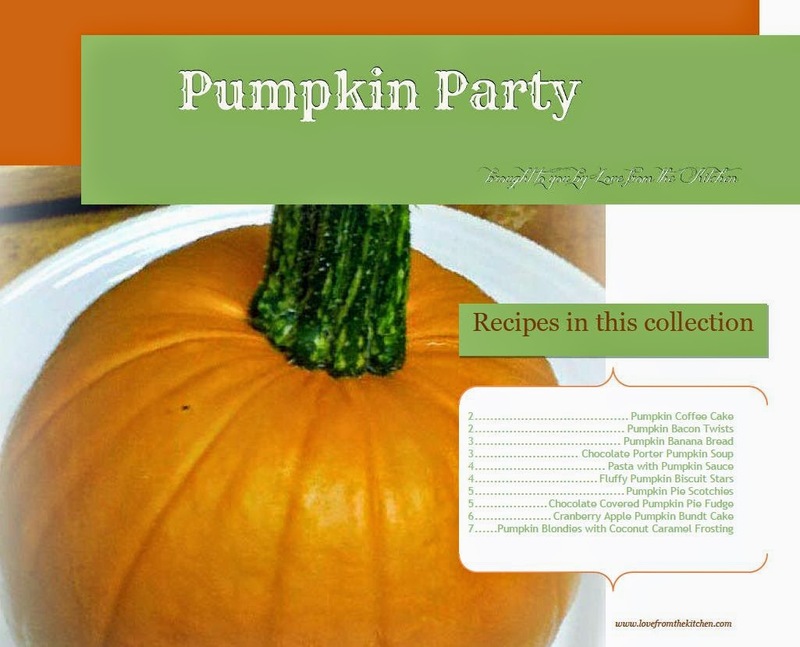 Download it today to savor the flavors of autumn and the holidays - it's a Pumpkin Party that's guaranteed to be a hit for your family and friends! You can check out many of these recipes on the blog by clicking here, but download the eBook for bonus recipes!